You Are Here: Home → The Indian whales surface at the National Poetry library, London! 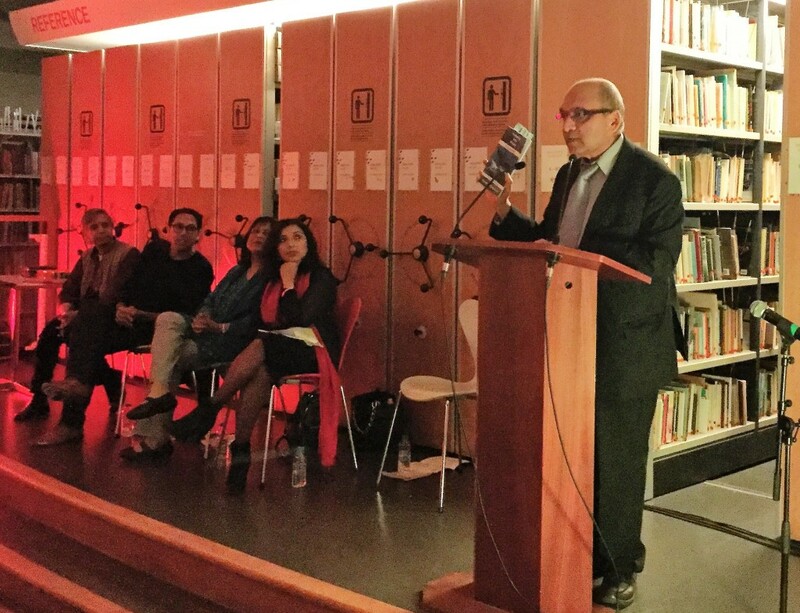 The Poetry and the literary establishment in the UK remain in denial of British Indian poets. Anyone can look at poetry magazines and also take in the audience at poetry events to distil the fact that these important contributors to English literature are utterly ignored. With this in mind, 4th October, 2017 was an important date when with the help of the British Council and the Poetry Library, Yogesh Patel, the director-poet of Word Masala Foundation and Skylark Publications, took the diaspora poets to the hub of the poetry scene in the UK. He hosted a rare outing of British-Indian poetry to celebrate the four fresh collections of poems published this year though ignored by the mainstream in the U.K. It was yet a full house. The great mixed non-literati poetry-loving audience found out that diversity was interesting and important and had much to offer. Yogesh Patel introduced each poet with his critical analysis of their works and the specially written poems on them. Mona Dash read from her collection, A Certain Way, published by Skylark in March. Rishi Dastidar and Dr Bashabi Fraser received Word Masala Award presented by Chris McCabe, the librarian, and Dr Vijay Anand, the editor of Confluence. Their books, Ticker-tape, published by Nine Arches Press, and The Homing Bird, published by Indigo Dreams came out in June. 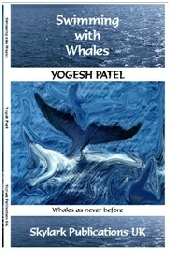 The highlight of the event was that Yogesh Patel launched his own long awaited and critically acclaimed collection, Swimming with Whales, immediately available internationally from all bookshops and web portals. After reading from her own work, poet Dr Debjani Chatterjee introduced Yogesh Patel as “This is a man who not only writes his own poetry but has made it his mission to promote diaspora poets”. Yogesh Patel humbly read a couple of his poems from this new collection with haunting whale music and sounds playing in the background. For the audience, the evening was even more fun because of the raffle organised by Skylark. 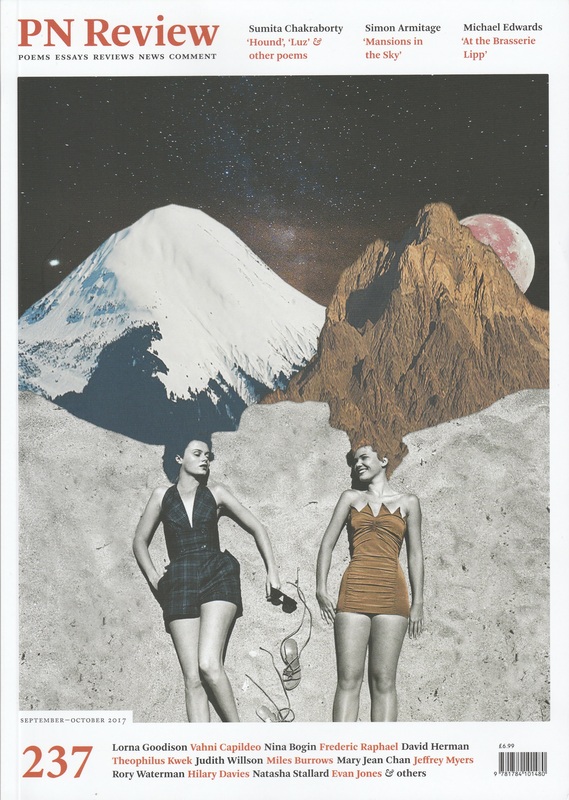 ‘PN Review is an extraordinary poetry journal no poetry lover should be without,’ Yogesh Patel said passionately as a subscriber. ‘So, I feel lucky that Michael Schmidt, its editor, agreed to donate a one-year subscription to the winner of this raffle.’ He is also inclined to publish the new genre of the review of poetry collections in a poem, Yogesh has introduced at this event. Contact Yogesh Patel at www.skylarkpublications.co.uk to organise the reading.